The City News Guide Network is seeking Community Sales Associates. (Sioux City, IA | Vermillion, SD | Sioux Falls, SD | Omaha, NE | Las Vegas, NV locations). Make your mark in digital advertising media with us. The City News Guide Network is dedicated to promoting local business. Each city or town in our network is served with a targeted guide that is a comprehensive source of digital news and information. 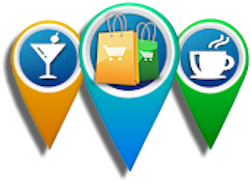 On each City Guide site, we promote the concept of shopping and buying locally in order to enrich the local economy. As an example, there is a network of City News Guides online in the Siouxland area stretching from Omaha Nebraska to Sioux Falls South Dakota. In addition to the I-29 corridor, other towns and cities in Iowa and major cities across the nation will soon be included in our rapidly expanding network. The Community News & Information Guides provided by CityNewsGuide.net provide absolute ease of navigation and a comprehensive wealth of consumer-driven information that is germane to each market. This consistent presentation of desirable information performs as a magnet that attracts well informed, discriminating consumers that have the potential of becoming the best customers for local businesses. The Digital Advertising CityNewsGuide provides businesses affordable and highly visible Digital Advertising. All of our digital advertising plans run for a full and complete month. The highly affordable banner ads migrate throughout the community guide of choice. The City News Guide Network offers special rates for businesses that wish to run Digital Advertising in multiple markets. As a sales associate, you must possess strong leadership skills and be able to directly sell to businesses through the community. Must be focused, and have a track record of successful selling and servicing. Demonstrate positive leadership capabilities. Show an aptitude as a strategic thinker. Additional responsibilities may include - forecasting, unique sales promotion, development of sources for new marketing strategies. Work with CityNewsGuide Sales Administrator to customize digital marketing in your specific community. Work with CityNewsGuide Marketing Administrator concerning the strategic planning of comprehensive News & Information in your community. Work with CityNewsGuide Administrators to set realistic and aggressive sales goals Manage your personal sales revenue by developing strong relationships with your local business clientele. 1-3 years of experience in sales, management. Excellence in written and oral communications. Some proficiency in Word and Excel or similar HTML editors. Full-Time desired but a schedule is open for some personal adjustment. Promoting all business activity which serves to strengthen the local economy. Recycled Dollars Enrich Your Home Community!